I'm going to keep this review short and to the point. I like this gel! Last week, I had a style where I two strand, flat twisted the front and rocked a twist out on the rest of the hair. I wish I would have flat twisted with this gel bc/ they probably would have come out neater. Anyway, it gave my hair excellent hold, definition, and a smooth finish. I absolutely loved the results. My hair didn't feel (hard or) dry or disgustingly, weighed down one bit. I love this product. It will last a long time too! 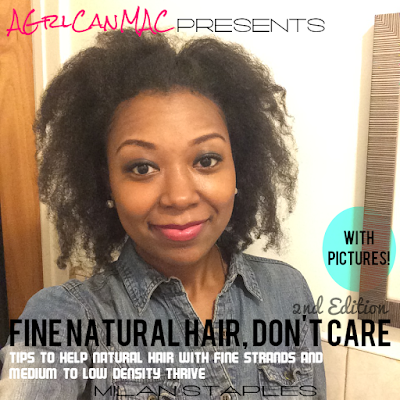 Organic Root Stimulator has awesome products. Check out the review on my blog" for the olive oil cream. I will most definitely try this out. I've come across this lock & twist gel quite a few times, and wasn't sure how well it would work. But after your review I might give it a try, since it doesn't leave the hair hard & dry, and gives great definition and a smooth finish. B/c hard and dry is a horrible combination for natural hair. I have tried this product on my hair and on my Hubby's hair - we both had a lot of flakes. Glad it worked for you! I wish this worked for me, but it left my hair dried out like nobody's business although it gave great definition. So the half of jar is just sitting on my dresser collecting dust. A stylist used this product on my hair just last week and it left really bad flakes. I spent $75 for her to wash and style it but I feel the need to go back and have her wash it out. In the meantime, does anyone have suggestions on ways to remove the flakes in the meantime? I tried this product twice, didn't get the best results. My twist were'nt soft enough to my likings, slightly hard but did had a little shine. My theory is it doesnt work well with my leave in conditioner which is Cantu shea butter leave in conditioner. I'll try it without the conditioner and leave a review about the results.